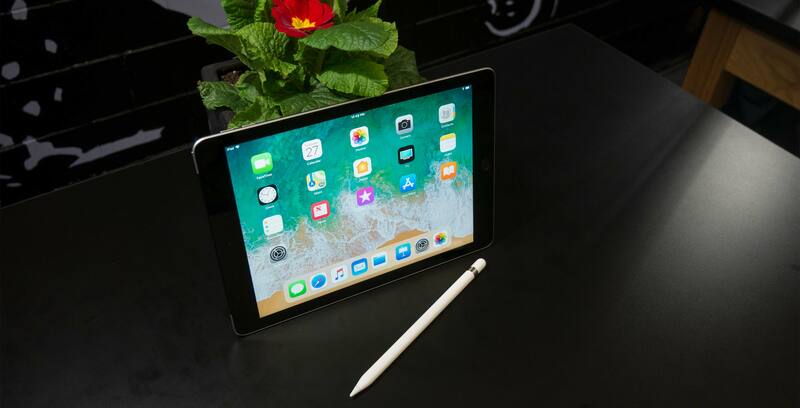 At Lane Tech high school in Chicago, Illinois, Apple revealed its new 9.7-inch iPad — an upgraded version of the tech giant’s 2017 entry-level tablet. Apple’s 2018 9.7-inch iPad isn’t particularly exciting, but the education-focused device does include some notable upgrades over its predecessor. 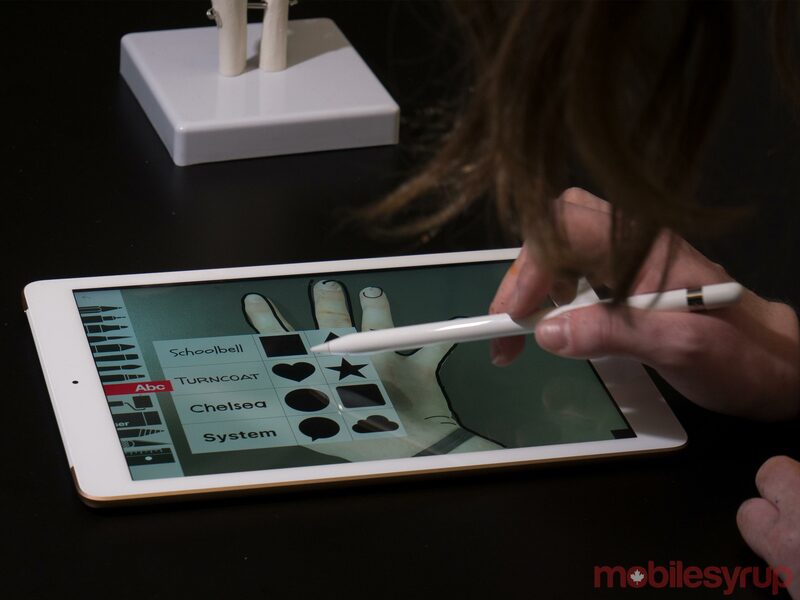 For one, the new iPad now supports Apple’s Pencil stylus, which makes sense given that the company is positioning the tablet as an education device. Strangely though, the Apple Pencil is still sold separately at a cost of $129 CAD. It doesn’t look like there are any iPad-Apple Pencil bundles on the horizon, either. The new iPad also doesn’t feature the Pro’s Apple magnetic accessory connector. 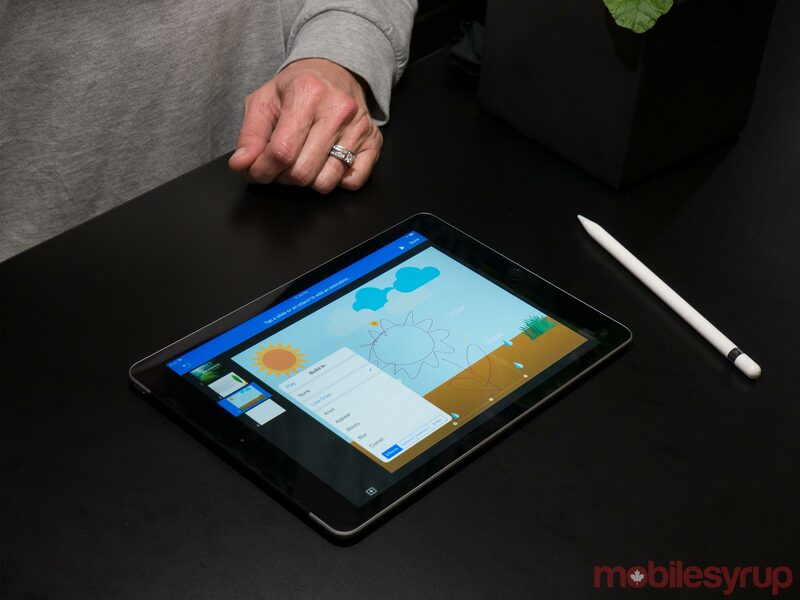 This means that the Smart Keyboard remains exclusive to Apple’s higher-end iPad Pro line, which is a strange move on Apple’s part if the goal is for this tablet to become the go-to device for students and teachers. That said, Apple uncharacteristically emphasized that the new 9.7-inch iPad is compatible with a number of third-party Bluetooth keyboards, with the company highlighting a few made by accessory manufacturer Logitech. 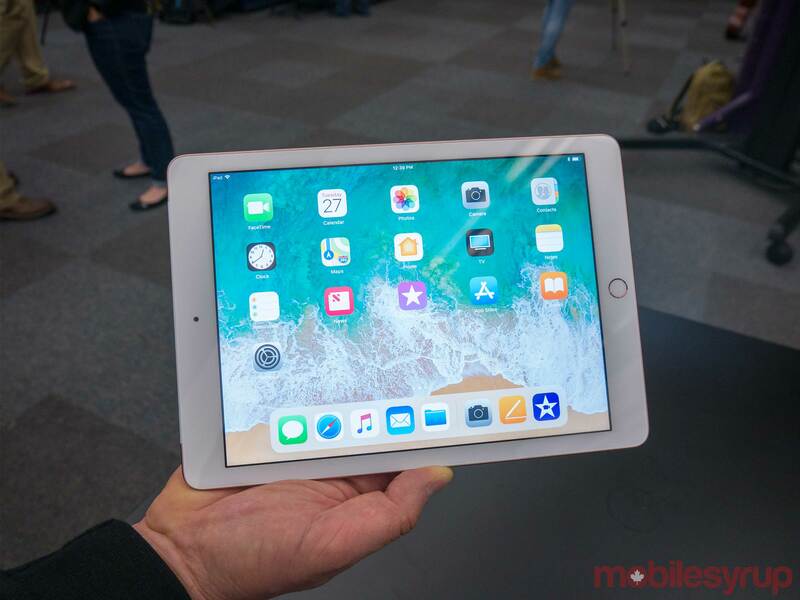 The new iPad is light, coming in at just 0.45kg (1lbs), features Apple’s A10 Fusion chip borrowed from the iPhone 7 and 7 Plus, rocks an 8-megapixel rear camera that supports 1080p video and features a front-facing shooter capable of FaceTime HD video calling. As with last year’s iPad, the new 9.7-inch tablet features 10 hours of battery life and supports optional LTE. This year’s iPad display doesn’t, however, feature the iPad Pro’s True Tone magic — a feature I’m particularly fond of. There’s also a small air gap between the 2018 iPad’s display and the glass that encloses it. If you haven’t used an iPad Pro before though, it’s likely not something you’ll notice. The only time the gap became an issue for me was when using the Apple Pencil to colour in a small diagram during a brief hands-on demonstration. Despite the Apple Pencil feeling accurate and responsive, the slight gap between the glass and the display’s pixels, resulted in a noticeable tactile disconnect. Again though, this might not be so noticeable if you haven’t used an iPad Pro before. Overall, however, the 9.7-inch display looks great, measuring in at 1563 x 2048 pixels. Granted, the iPad Pro is still a significant leap in screen quality when it comes to colour reproduction and contrast — which should be expected. Apple’s new 9.7-inch iPad also adopts the same metal chassis with large bezels and rounded corners as last year’s lowest-end iPad. 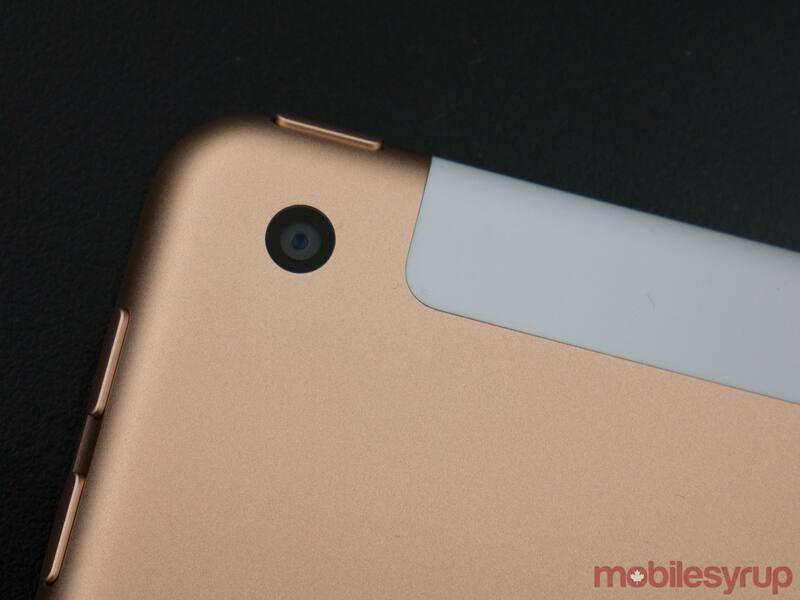 Further, the volume rocker and power button remain in the same location, along with the Touch ID fingerprint sensor located on the tablet’s bottom bezel. If these specs and the new iPad’s overall aesthetic sound familiar, you aren’t wrong. Apart from the spec bump and Apple Pencil compatibility, in many respects the 2018 iPad is very similar to its predecessor. 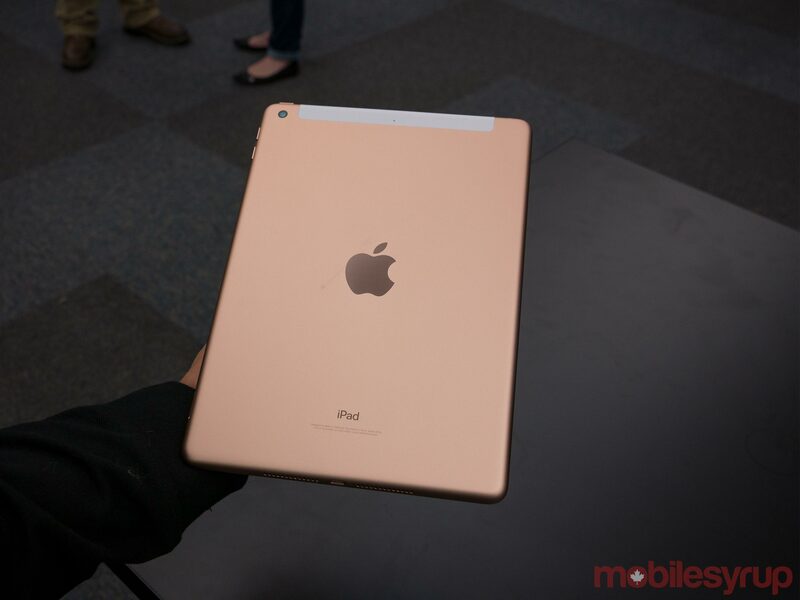 What matters in this instance is how Apple is positioning the iPad as an education tablet. Students need to take more than just notes in the classroom — they also need to follow along with lessons and activities. On the other side of the education spectrum, teachers need to be able to mark up student’s work. These were two tasks that Apple emphasized during the company’s keynote and subsequent demos of Schoolwork, the company’s new iOS education suite of software tools for teachers and students. In subsequent ‘classroom’ demos at Lane Tech, Apple reps showed off how the iPad can be used in the context of a variety of subjects, ranging from learning how to code to creating short video clips. 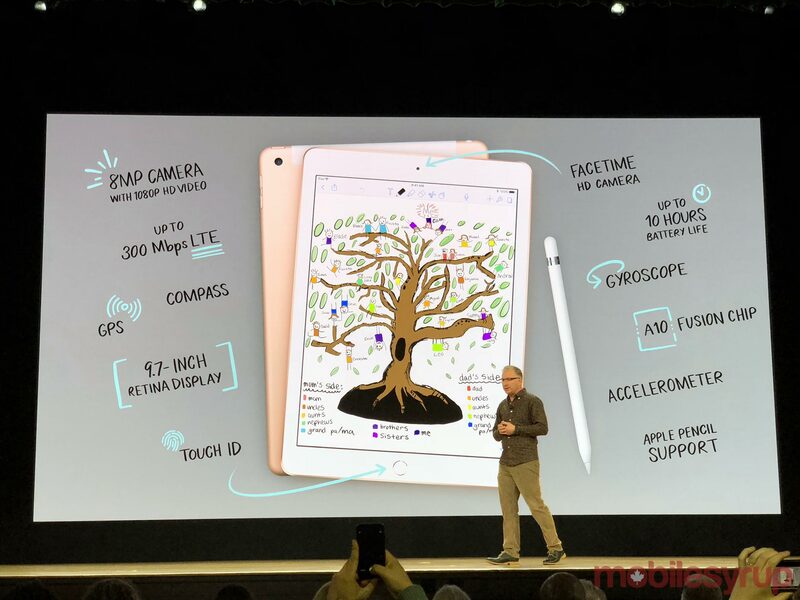 Apple’s showed off its own software, including Pages, Numbers and Keynote — which now all feature Apple Pencil compatibility — as well as some third-party apps. The most notable example was an app that cleverly allowed students to dissect a frog in augmented reality. In terms of AR functionality, the A10 Fusion processor ensures that augmented reality experiences run slightly smoother when compared to last year’s 9.7-inch iPad. A quick demo I checked out in a classroom was impressive and looked about as good as any AR demo I’ve seen running on an iPad Pro. Apple’s education goals are ambitious, especially in a market dominated by devices running Google’s Chrome OS and laptops powered by Microsoft’s Windows 10. 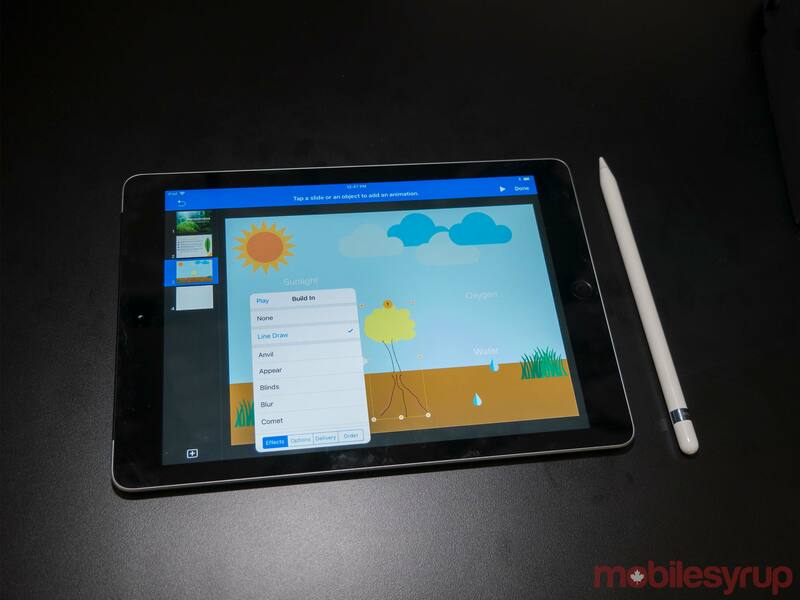 It remains to be seen if Apple’s education initiatives offer enough functionality to convince cash-strapped Canadian school boards to purchase Apple’s very functional, but still pricey iPad and Apple Pencil. Apple’s new 9.7-inch iPad costs $429 CAD, while last year’s iteration comes in at $449. This means that the company’s new iPad is only $20 cheaper than last year’s model, though this new version does include a number of upgrades. We’ll have more on Apple’s new 9.7-inch iPad in the coming days, including a full review of the new tablet.